Hello friends! I am suman sourav mohanty a resident of odisha ,Bhubaneswar, and a mechanical engineer from kiit university. My father is a retired bureaucrat ,mother a homemaker , elder brother working as a software engineer in TCS and sister a faculty in an engineering college.i strongly feel and believe UPSC is god’s desire to see you serve the poor and needy and destiny brings you closer to the goal.having served in private companies then consultant in state government i never had the inkling that one day i would get the opportunity to serve my country as an IAS officer .however in 2015 i started my preparartion and i got through Indian revenue service (customs and central excise). 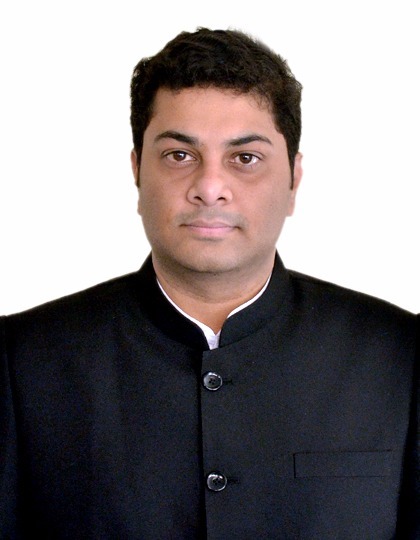 Previously i was selected as Dy Collector in Odisha State PSC exams and secured 6th rank .The main motivation coming from a state which has low social and human development indicators was to serve as a change agent to bring about development with pro people participation, and make administration go closer to people. My mantra is KEEP IT SIMPLE. Read from limited sources, revise more and have a sense of self belief that whatever you are reading is enough. I regularly followed only ias baba and neostencil.com for my preparation . Daily hrs spent on online platforms for predicting cutoff / syllabus change / age-attempt limit change and other “peripheral-bolbachchan“ related to civil services. This is the most useless things people do ,specially spending hours on discussing in social forums. Daily hrs spent on whatsapp and telegram studygroups No fb during prep. Whatsapp only using study group. Primary Device for online study: desktop, laptop, tablet, mobile Laptop. Notes making i did on the book or current affairs pdf.no mindmaps or evernote i am not that techsavvy. Economy (theory + current) Mrunal, Sriram Eco. Schemes, Policy & Filler Stuff Anything I got on internet. I would never ever do selective study on basis of useless R&D on future papers. practice as much comprehension as you can. Practise more from higher level comprehension rather than lower level. yes attended from insights ,vision . they are necessary as it gives u confidence and you relaise you are on the right track. Easy to write 1500 words on these mainstream topics. Try to make a flow chart before writing and have a wider approach rather than a deep one. Mostly wrote what I read for my GS prep. Indian history Indias Struggle For Independence, TMH GS Manual. Indian Constitution, devolution, dispute redressal etc. Laxmikanth, The Hindu, PRS India, Frontline etc. comparing Constitution with world Laxmikanth, The Hindu, PRS India, Frontline etc. parliament, state Legislatures Laxmikanth, The Hindu, PRS India, Frontline etc. executive-judiciary Laxmikanth, The Hindu, PRS India, Frontline etc. ministries departments Laxmikanth, The Hindu, PRS India, Frontline etc. pressure group, informal asso. Laxmikanth, The Hindu, PRS India, Frontline etc. Representation of people’s act Laxmikanth, The Hindu, PRS India, Frontline etc. various bodies: Constitutional, statutory.. Laxmikanth, The Hindu, PRS India, Frontline etc. India & neighbors The Hindu, Chronicle Magazine Special Edition, Mains 365.
bilateral/global grouping The Hindu, Chronicle Magazine Special Edition, Mains 365.
effect of foreign country policies on Indian interest The Hindu, Chronicle Magazine Special Edition, Mains 365. Diaspora The Hindu, Chronicle Magazine Special Edition, Mains 365.
international bodies- structure mandate The Hindu, Chronicle Magazine Special Edition, Mains 365. Indian economy, resource mobilization Mrunal.org, Sriram Economy, Economic Survey, Yojana. inclusive growth Mrunal.org, Sriram Economy, Economic Survey, Yojana. Budgeting Mrunal.org, Sriram Economy, Economic Survey, Yojana. major crops, irrigation Mrunal.org, Sriram Economy, Economic Survey, Yojana. agro produce – storage, marketing Mrunal.org, Sriram Economy, Economic Survey, Yojana. e-technology for famers Mrunal.org, Sriram Economy, Economic Survey, Yojana. farm subsidies, MSP Mrunal.org, Sriram Economy, Economic Survey, Yojana. PDS, buffer, food security Mrunal.org, Sriram Economy, Economic Survey, Yojana. technology mission Mrunal.org, Sriram Economy, Economic Survey, Yojana. animal rearing economics Mrunal.org, Sriram Economy, Economic Survey, Yojana. food processing Mrunal.org, Sriram Economy, Economic Survey, Yojana. land reforms Mrunal.org, Sriram Economy, Economic Survey, Yojana. Liberalization Mrunal.org, Sriram Economy, Economic Survey, Yojana. Infra Mrunal.org, Sriram Economy, Economic Survey, Yojana. investment models Mrunal.org, Sriram Economy, Economic Survey, Yojana. moral thinkers of India and world None. best way is use simple language and common sense, secondly try for quoting principles of philosophers in the essay. Attempt each and every question, whether you know it or not. A completely attempted paper anyday is better than a paper where one attempts around 70-80% questions only, because the range of marks is quite less between the best and average attempted papers, so every marks counts. Its beneficial and keeps you time bound and avoids situation where one gets emotional and keeps on writing and writing on seeing a familiar question.focus on 9 minute strategy rather than writing everything . point wise is best with subheadings answering each part of the q.
I did mix of all according to real conditions there. Its impossible to follow introduction-body-conclusion in almost every question, generally a majority of aspirants do it in first few ques. only when one is high on energy and time. Q6. Did you draw any diagram in any paper? (e.g. in GS1 Geography) Yes 7-8 in each paper. easy to grasp, link to current affairs, less work in gs 2 3 and 4 due to interlinkages.i had faith in public administration and knew that it is easy to score marks . this time questions came easy also. yes because its easy, interlinkages with gs paper 2,3,4 and lesser course . Q. First the essential book/resource list. R Aribam, Rajnigoyal, Pawan sirs notes and online courses of neostencil.com, laxmikanth, ignou for certain chapters. Solving all past year papers diligently(Most Important). Paper Two one can go through internet for recent developments and collecting Case Studies. Public administration was easier this year as compared to last year still average scores are high. Your optional is the only paper you can be confident and sure about in this exam, with other papers its all uncertainty. So make the best out of your optional and try to score as much as possible in it. Yes I did a few mocks. No mock can simulate the real interview even if it has retired members in it. Depends but don’t overdo your mocks, 4-5 mocks are sufficient. I stayed in my official Guest House. Just read the morning newspaper before interview. questions were related to current affairs and daf, some questions were from my state and the low social indicators . mostly the board was cordial and made me feel comfortable . interview was basically about why ias, problems with gst , issues in odisha, poverty, situational questions as dm , questions from mechanical engineering .Interview was cordial and nice . It was stress free interviewwith expected questions. No uncomfortable questions at all. The whole process is smooth and easy. Just bring the required documents as stated. It’s quite basic and no need to worry. I would have continue in IRS C&CE.. Already started working on it after this year Mains exam. It increases subjectivity and hardly the learnings from optionals can be used in professional lives. Half of the time is used in what to study and rest from where to find that golden/sure-shot resource to get selected, leaving no time to study. Coaching would exist and we cannot help it . 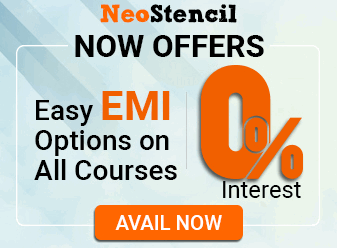 However, to better manage time and costs, nowadays students can attend classes of Delhi’s coaching from their hometown through neostencil.com at a fraction of price. This mode of learing was very helpful in preparation journey. However coaching can only guide and ultimate effort has to be done by the student. Yes, it should be published after prelims. Altogether separate exams can be a solution. Once you enter the room, all that matters is you and how you act in those few minutes. the interview is a personality test and it actually is a test of personality,English speaking doesn’t matter. Be passionate about you reason to join civil services and as its a competitive exam and one cant afford to be sluggish.second go for physical exercise and spiritualism. I took my optional subject casually for which I paid the price last year by loosing final selection by a whisker. This year I diligently prepared my optional. take time off on weekends and prepare for three four hours on weekdays. Give your best shot in 1-2 attempts only, and in case you are unsuccessful don’t mourn and leave this vicious cycle of giving multiple attempts and wasting fruitful years of your life because at the end its just an exam and being IAS is just a job which comes with its own pros and cons. Also, many are under the dilemma that whether one should go for civil services or enter corporate/entrepreneurship etc. after graduation.In my view one should first go for civil services first, either you will get selected or you won’t.In case you are successful you always have the opportunity to exit civil services, with better skills, network and more diverse opportunities. keep working sincerely,success is round the corner. I am grateful to my parents, sister, friends etc. for being a constant source of support during my entire journey and my employer who was liberal in giving me leaves for preparation. I remember Mrunal.org was the very first source from where I downloaded the exam strategy and learned the nuances of this exam, particularly economy and environment ,geography sections.met rajtanil madam during my probation at IRS C&CE. specially the doubt clearing aspects! Honestly speaking,if anyone follow this regularly no one can stop to achieve what they want. Same topper quoted different sources! Thanks for sharing this informative and great post.keep writing this type of article. Which language in writing a paper ?? I want to join plz reply me. Plz sir plz I have very much interest .